Interior design plays a pivotal role in the completion of any development. We believe that the spatial and interior design must be considered throughout the process in order to complement the architectural scheme for which it was designed. IDM’s visionary interior design team is involved in the consultation on our all of our developments to create beautiful interiors in which people can imagine themselves living. We can work on behalf of landlords or homeowners to deliver a fully comprehensive interior design solution from conception to delivery. Our team are passionate about everything from kitchens and bathrooms, to tiles, paint and surfaces. We work with clients to inspire them and bring their homes to life. 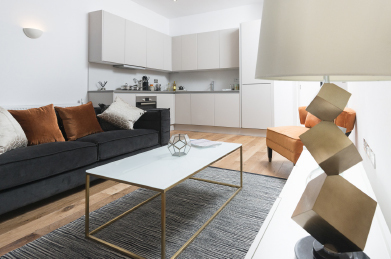 Our trade access to the interior world gives us leverage to source and buy cost-effectively, especially when buying for multiple properties or larger developments. We also have a selection of high quality, ready-to-go furniture solutions available for residential or rental properties. For further information, please call 020 7739 1650 (option 2) to discuss your interior requirements. 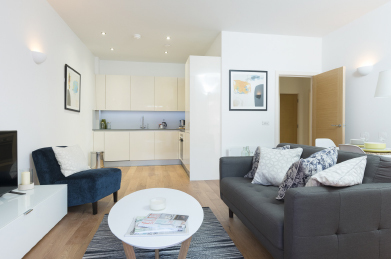 Having arranged for IDM Interiors to furnish our new buy to let property it ensured we had a stylish new apartment ready to rent as soon as we were handed the keys, ensuring our tenant moved in within days of completion.